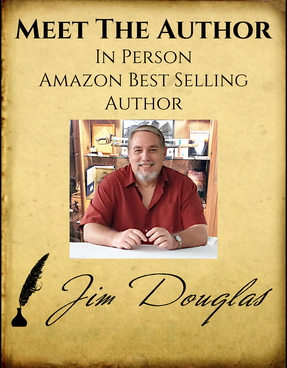 To invite author Jim Douglas to appear at your event, please fill out and submit the form below. We will not share your personal information with anyone, at any time, for any reason, ever. Plum Run Press strongly suggests that you submit your appearance request at least sixty days prior to your event. Appearances require much scheduling, planning and logistics to be successful. However, if you do have a last minute request, we will do our best to accommodate you if possible. Approximately how many people do you realistically expect to attend your event? Will your venue be providing tables and chairs, tent\shelter (if outside), and\or refreshments? Please specify the media your event will be advertised in. Please include all details for ad placement verification. Note. We require the author's book cover image, and\or author's image to appear in any print, web, and television advertising you do for your event. High resolution images and bio information are available for download on this web site's Media page.The author's name and book title(s) must appear in any radio and podcast advertising done as well.